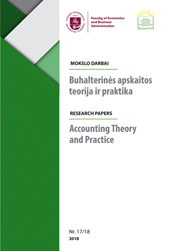 Founded in 2007 and dedicated to publishing articles on accounting, audit, and analysis. 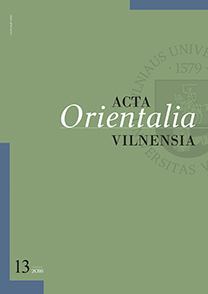 Founded in 2000, published in English and dedicated to publishing empirical, theoretical and historical studies of the regions of the Indian Subcontinent, the Middle East, Central Asia, the Far East and Southeast Asia. 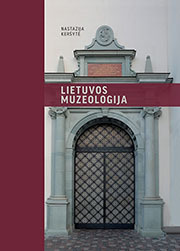 Founded in 2013 and dedicated to publishing articles on museology: the history of museums, collecting and musealization, expositions and exhibitions, communication of heritage, digital technologies, education and communication, management and policy. 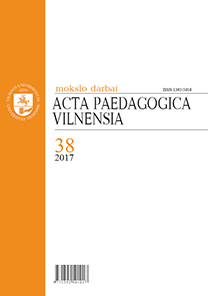 Founded in 1991 and dedicated to publishing empirical and theoretical studies and analyses in education that constitute contributions to the understanding and/or improvement of educational processes. 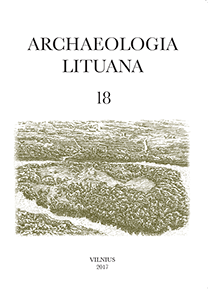 Founded in 1999 and dedicated to publishing articles on the history and methodology of archaeology as well as publishing important archaeological research in the Baltic region. Founded in 2012. 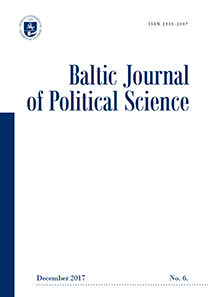 Dedicated to publishing articles on political theory, comparative politics, international relations and public policy with a focus on the states in the Baltic Sea region. Founded in 2011. 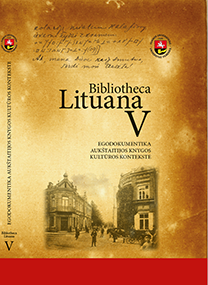 Dedicated to library history and documental heritage. Founded in 1960. 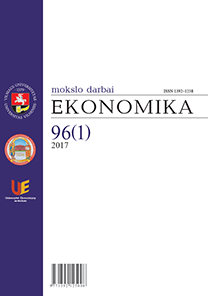 Dedicated to publishing articles analysing the current economy, sectoral situation and development of business strategies for local and foreign markets, which contributes directly to Central and Eastern European economic development. Founded in 1994.  Dedicated to publishing articles on the information and knowledge society, information and knowledge management, organizational communication management, investigations of media management, media culture, international and intercultural communication. Indexed in the Scopus database from 2018. Founded in 1958. Dedicated to publishing articles on synchronic and diachronic research into various aspects of language studies as well as studies addressing cross-linguistic issues. Founded in 1961. Seeks to cover interdisciplinary research topics on book and digital media history and culture, including book history and historiography, traditional and digital publishing, research on media literacy and reading, printed and digital heritage etc. Indexed in the Scopus database from 2018. Founded in 2014. 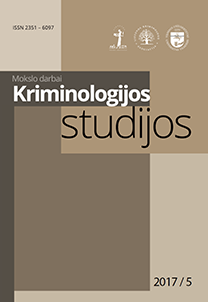 Dedicated to publishing articles in criminology. Founded in 1993. 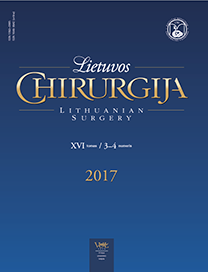 Publishes scientific surgical articles written by Lithuanian and foreign authors. Founded in 1992. 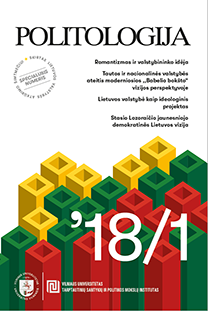 Publishes articles on Lithuanian sociocultural and political history, cultural anthropology, heritage conservation and archaeology, the Lithuanian nation and its historical development. Founded in 1958. 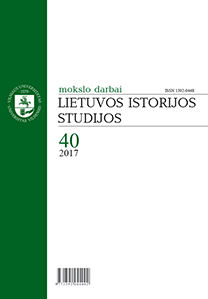 Dedicated to publishing articles on Lithuanian and World literature as well as studies concerned with the Classics and cultural studies. Founded in 1989. 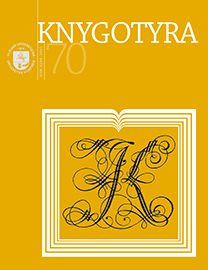 Publishes articles on political science and international relations. Indexed in the Scopus database since 2012. 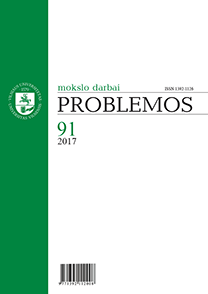 A peer-reviewed journal of philosophy founded in 1968 that publishes research articles, book reviews and an academic chronicle. Indexed in the Scopus database from 2002 and in the Web of Science database from 2005. 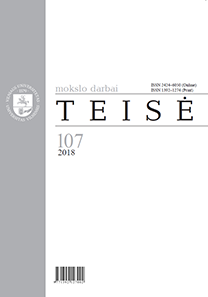 Established in 2019, this journal contains various selected articles prepared by the community of Vilnius University. 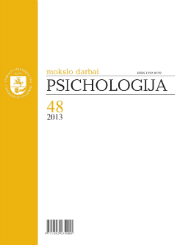 A peer-reviewed journal founded in 1962 (Psychology – from 1980) and dedicated to publishing articles analyzing all fields of psychology and interdisciplinary research. Founded in 2004. 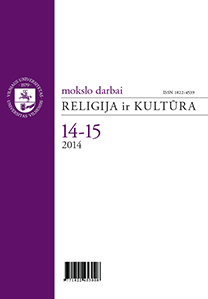 Publishes articles on the phenomenon of religion and the relationship between religion and culture by integrating religious studies with religious philosophy and other relevant disciplines of the field. Founded in 1999. 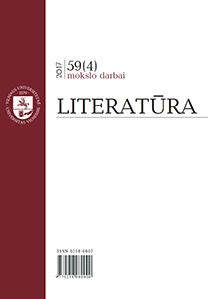 The journal provides a platform for different theoretical and thematic approaches to the following humanitarian research fields: linguistic researches, issues of literary narratives and contexts, influence of advertising discourse, theory and practice of translation, audiovisual research. Founded in 1997. 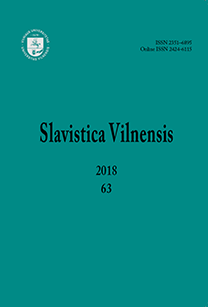 Publishes articles on palaeoslavonic studies and Slavic etymology, Baltic-Slavonic linguistic relations, the Slavic heritage of the Grand Duchy of Lithuania, Slavic dialectology as well as the history and modern situation of the Slavic languages and cultures. Founded in 2001. 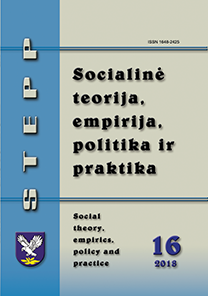 Publishes articles on social work and social policy. Founded in 1997. 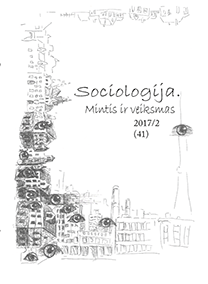 Publishes articles on the critical study of contemporary social and cultural change – including the shifting status of sociology itself – from a variety of perspectives. Founded in 1957. 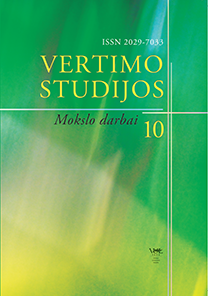 Publishes articles on theoretical and practical issues of law. Founded in 2010. 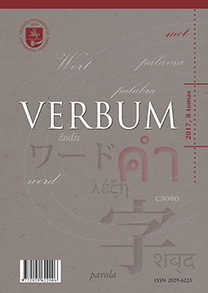 Publishes articles on the studies of Germanic, Roman and Slavic languages as well as on the issues of education. Founded in 2008. Publishes articles covering a wide range of topics concerning translation and interpretation. Founded in 2008. 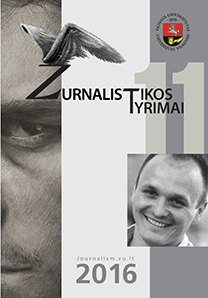 Dedicated to publishing articles on all kind of problems in journalism and across media studies.